When the Paranormal Research Society (PRS) is in Las Vegas, Nevada, and Ryan says they are “researching records at the neighborhood library” I thought there would be scenes of a Las Vegas library. But most of the locations used in “Vegas” were from Penn State’s University Park campus, one scene was taken from footage for “School House Haunting” shot at the Leominster Public Library in Leominster, Massachusetts. And the scene with Sergey was shot for “The Woman in the Window,” and took place in the Heinz History Center, in Pittsburgh, Pennsylvania. By using scenes that weren’t of a neighborhood library in Las Vegas, it is my opinion that this “Vegas” segment is misleading and deceptive. PRS members are sitting in the Eighth Air Force room inside of Special Collections. 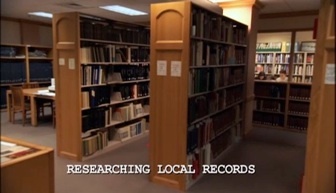 The “neighborhood library” scenes in “Vegas” were actually from Penn State libraries in Pennsylvania, Leominster Public Library in Leominster, Massachusetts, and Heinz History Center, PIttsburgh, PA.
Caption is as it appeared in the episode. One might infer that the library scenes in “Vegas” were from a local, Las Vegas, Nevada library because Ryan said they are “researching records at the neighborhood library” and then we see library scenes while the Paranormal Research Society (PRS) is in Las Vegas. You have been misled. Here are some screenshots from Paranormal State “Vegas” to illustrate actual library locations. Continuity: Ryan is wearing a white shirt, but in the screenshot about 12 seconds later (below), he’s wearing a black shirt. Continuity: At no point in the “Vegas” episode, either before or after the library scenes, is Eilfie seen wearing this same shirt. 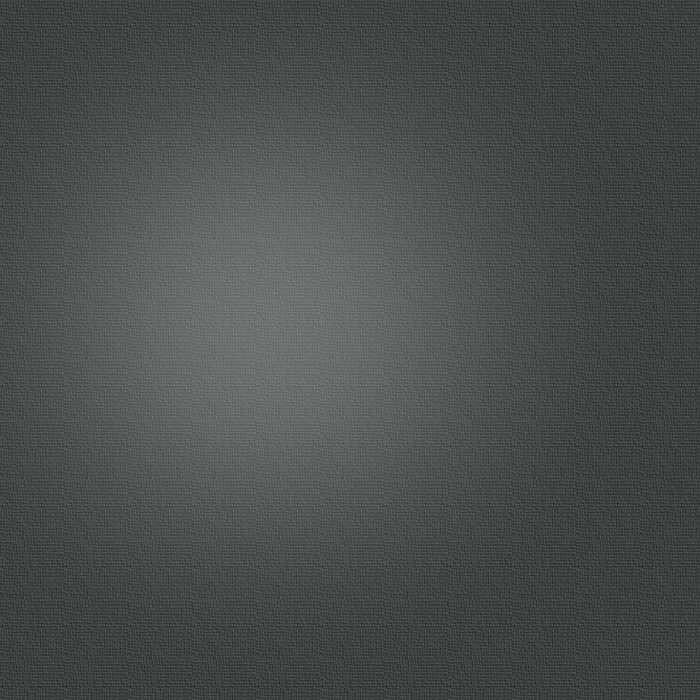 Savannah just made a sketch of Emily, and some of the Paranormal Research Society (PRS) members supposedly go to a “neighborhood library” to see if they can find or confirm any information about Emily. Since the PRS is in Las Vegas, Nevada, and Ryan says they are researching at a neighborhood library, you might think the library would be in Las Vegas. Wrong. Many scenes actually happened at different libraries on the Penn State University, University Park campus. 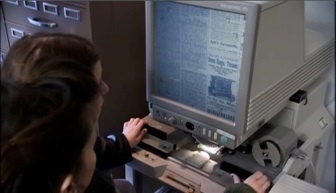 The scene of a microforms machine with Eilfie and who might be Heather, was from the Leominster Public Library in Leominster, Massachusetts and was used in the “School House Haunting” episode. 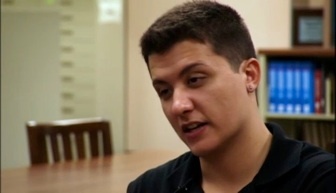 The scene with Sergey took place in the Heinz History Center, Library and Archive in Pittsburgh, Pennsylvania, and was shot for “The Woman in the Window” episode. Continuity: This scene immediately preceded the one above and is of a different machine. The fingernail length/color of the user are different. I believe this machine is a Canon 800, the kind currently used in Pattee Library. The machine above is a Canon Microprinter 90. I wish to thank everyone at Penn State University, University Park, Pennsylvania, who took their time to help me verify the locations of the scenes above when I visited the campus. While I would like to publicly acknowledge who you are, I feel it is best to keep your names confidential. Thank you for your help so I could provide accurate information as to the actual (Penn State) library locations, which I feel were falsely attributed as being at “the neighborhood library” in Las Vegas, Nevada.